These photos are a follow up to my contribution to the discussion of ‘A Brighton Beach Conundrum‘ in the ‘Mystery Photos’ page. On 18-04-2016 I identified my parents, Bertie and Pat Boast, and three of their ‘Brownie’ friends. 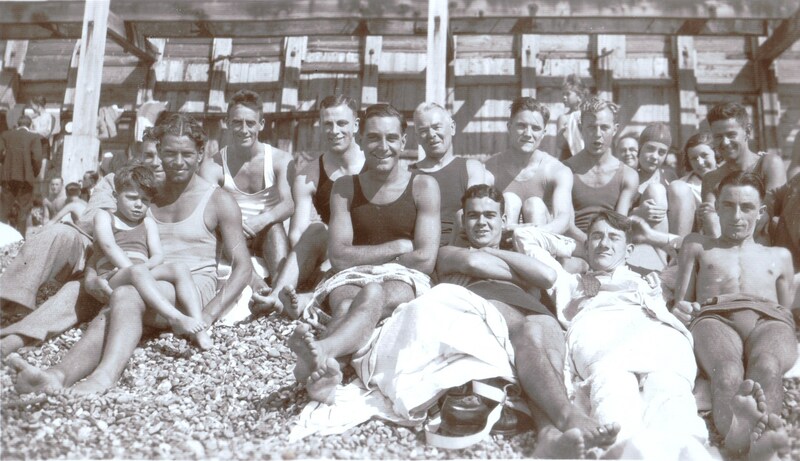 A number of friends met regularly on the beach, often enough to get a good tan and call themselves ‘Brownies’. 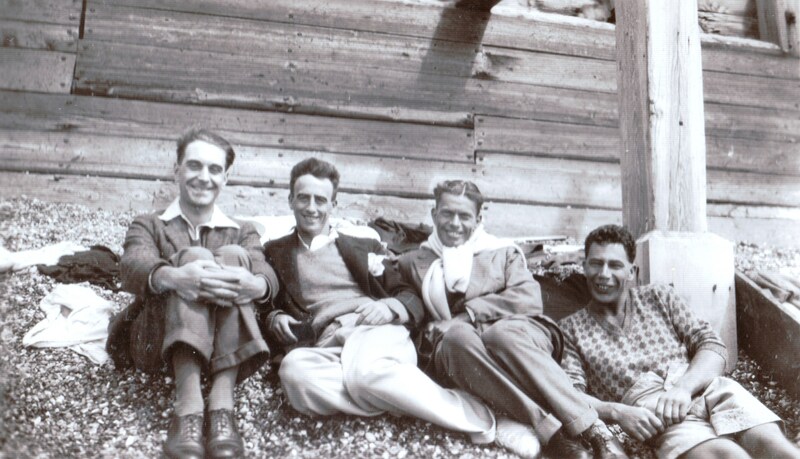 It looks as if the photos were all taken in one season and is likely to have been after August 1926, when my parents were married, and before 1930 when they moved their business to Ship Street. These pictures come from our old family albums. 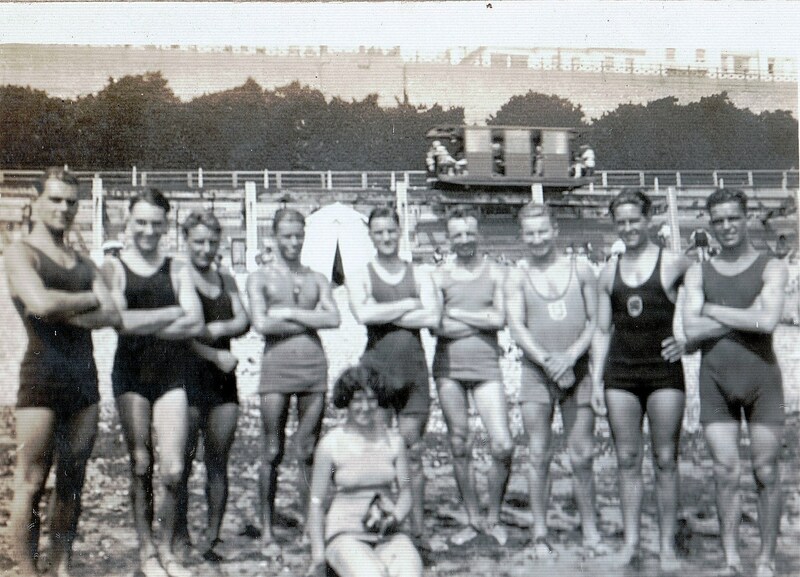 They show the favourite beach to have been below Duke’s Mound (Chichester Terrace in the background). The exact position of the beach might be deduced from the lamp standards and the public seats on the sea front above. The groups would sit under Volks Electric Railway with one photo showing a ‘car’ en route overhead. Perhaps some of those who joined in the discussion of the mystery photo can identify the other bathers in the pictures? Pat and Bertie Boast central. Are the other ladies Dora and Maudie Holman? 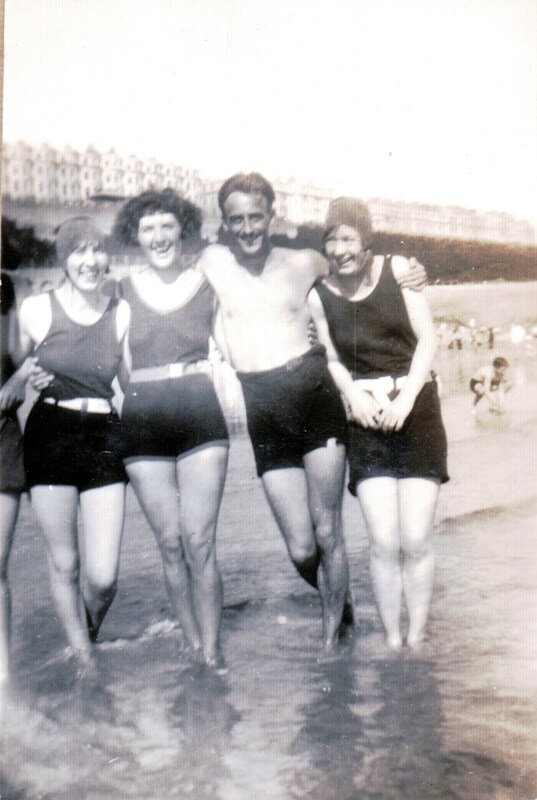 What lovely memories of the folk and the beaches of my childhood. 25 years or so after these photos were taken I would be enjoying the fun of these beaches. How the height of the stones have changed. 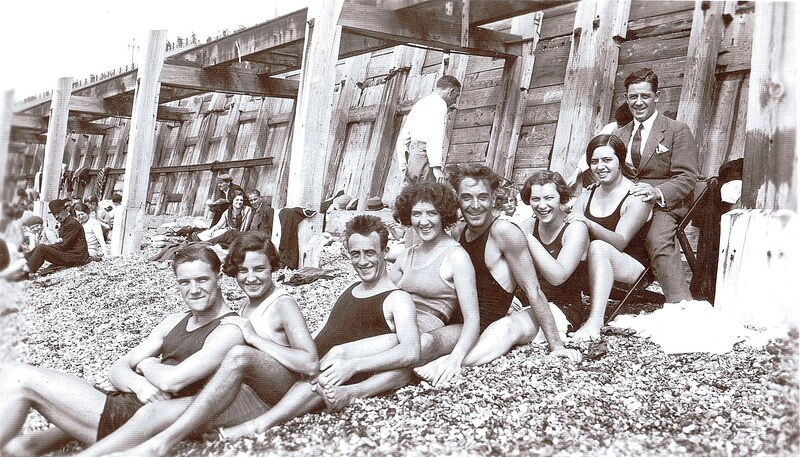 Even when I was a kid the car park beach by the Black Rock bathing pool had an iron ladder down to the beach. Now the stones are right up to the top. It is the same where I live on the Romney Marsh, the beaches in the area are constantly being pushed further up because of the eastward drift. All summer the stones are being carted back and forth by dumper trucks.